We do things a bit differently at EVOLVE. One of our goals is to deliver healthcare in the way that we would want to experience it as a patient. This means: our appointments are not rushed or behind schedule, our focus is 100% on your results, we practice according to the most up-to-date available scientific evidence, and we are transparent in our approach, thought processes, and price. Perhaps most striking to some people, especially those who have seen other physical therapists or dietitians before, is that we are “out of network” with all insurance providers. What this means is that we charge a flat rate at the end of each appointment, payable by credit card, cash, check, or a health savings account or flexible spending account (we don’t accept bitcoin yet, sorry). We can provide appropriate receipts for our patients to submit to their insurance for out-of-network reimbursement, but do not bill insurance directly. We chose to set up EVOLVE in this way for a number of reasons. This post will explore 10 reasons why we think it’s actually better for you, the patient, to experience your physical therapy and dietitian services in this way. Our services are always 1-on-1 with you, with no delegation to assistants or other staff. Most providers who bill through insurance end up offloading some of the billable care time to ancillary staff or assistants so that they can increase their productivity and document more billable units. This is permissible by almost every insurance company. A physical therapist in Arizona, for example, can bill for up to 4 patients at the same time by “supervising” assistants. Usually these staff members do not have the same education or training as the primary provider, and this risks a lower quality of care. Your health is important, and so you should be seeing the clinicians who have the appropriate training and experience -- your physical therapist or dietitian, not an assistant. We can choose the most appropriate interventions and services for you, without regardless of how they will be reimbursed by your insurance company. Insurance companies can deny reimbursement for services that they do not deem to be “medically necessary.” The definition of "medically necessary" isoften vague, and can include activities that we find to be essential, including injury risk screenings, strength and conditioning training, late-stage rehabilitation after a knee injury, long term follow ups, and the majority of our registered dietitian services. At EVOLVE, will work with you to provide the most appropriate services when you need them. Overall, we remain completely focused on getting you results, not on billing your insurance. This is because accountability between patient and provider is completely clear. More on this below. This is huge. Access to registered dietitians via health insurance is generally very limited. Some plans offer coverage for conditions such as diabetes, obesity, or eating disorders. We work with many of our clients on performance, body composition, energy, and food sensitivities. These categories are often not covered by insurance at all. Medicare only covers services for people with diabetes, kidney disease, or a kidney transplant in the past 3 years. Aetna does not pay for much, either, with their policy document stating: “Many Aetna plan benefit descriptions specifically exclude services and supplies for or related to treatment of obesity or for diet and weight control.” We have found these policies to be fairly representative of most insurance companies. And yet, even though the service does not seem to be valued by insurance companies, seeing a Registered Dietitian can be invaluable for many people. Management of nutrition-related conditions and eating well is an absolute cornerstone of good health. 3. Less frequent physical therapy visits. On average we see our PT patients 4-5 visits per injury or episode of care, compared to national averages of 8-12 visits. This average is documented in several peer-reviewed articles. For example, averages for low back pain range from 9.9 visits to 11 visits. Another review of PT services in general found an average of 9.6 visits. We’re able to do this consistently with each patient because we’re focused on your progress. We are not rushed and have time to think through all aspects of your case. We do not delegate to assistants, can perform the right intervention at the right time without regard to your insurance reimbursement, and are accountable to you, not your insurance company. As a result, you get better faster. In many cases, our patients end up paying less overall than if they went to a traditional, insurance-based clinic. How can this be the case? Let’s take a look at some numbers. Deductibles: The total amount you have to pay out of pocket for medical care before your insurance starts to cover services. Coinsurance and copays: The amount you have to pay for medical services even after meeting your deductible. These averages vary, but in a survey of several different health plans, we found the average co-insurance after meeting a deductible to be 20%, and an average co-pay of $38. Let’s assume an average 10 visits total at an insurance-based clinic, based on the numbers presented above. The cost for physical therapy treatment at an insurance-based clinic will be $1,371 ($191 + $131 x 9). Peer reviewed studies match up with these estimates. This review of PT services from 2007 of found the average number of visits to be 9.6, with an average cost of $130 per visit, and a total cost of $1,184. 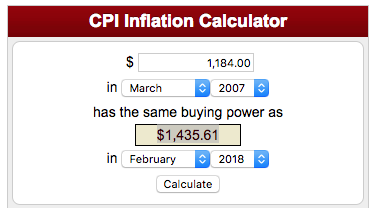 Adjusted for inflation from 2007, the average cost of care is $1,435. If you have not met your deductible, you will be responsible for ALL of this cost: $1,371. If you have met your deductible, you will still be responsible for either the co-insurance (20% of $1,371 = $274), or co-pay ($38 x 10 = $380), depending on your plan. 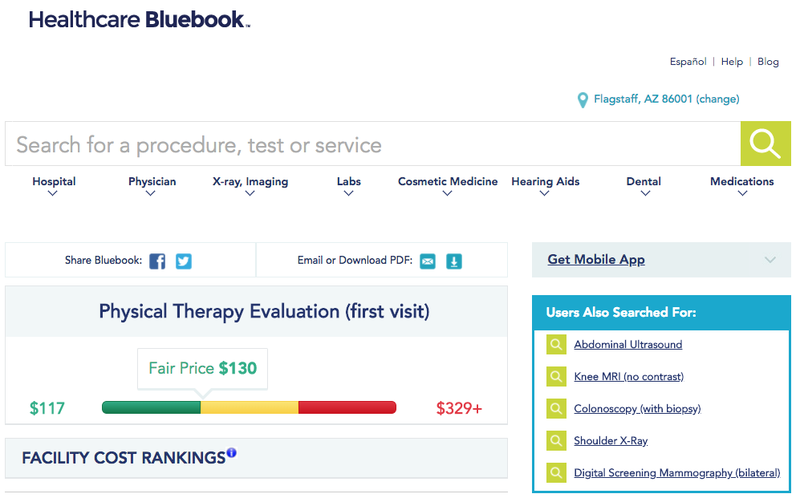 These are "fair price" costs from the Healthcare Bluebook, and so while it’s possible they will be lower, it is also possible that the physical therapy clinic will bill for much more. How does this compare to EVOLVE? Let’s assume 5 visits at EVOLVE, as this is on the higher end of our average. The cost at EVOLVE would be 5 x $97 = $485. So, if you have not met your insurance deductible, EVOLVE will likely be much lower cost, by more than half. If you have met your deductible, EVOLVE will not be the least expensive option for you in terms of money alone, but we will likely be comparable. There are other factors to consider beyond monetary cost, such as the value of your time. How much time does it take to attend ten PT visits vs. five? Other factors include the quality and experience of the care, your ability to communicate with your providers, and the value of knowing exactly what your care will cost when you schedule an appointment. (Need help understanding these terms? Check out this helpful infographic on insurance payments and jargon). Insurance companies generally do not reimburse for “wellness visits" or appointments with physical therapists or registered dietitians before you are injured or sick. This has caused many people to believe that they should only see a PT or RD when they have an injury or specific nutrition problem. However, we think this couldn’t be further from the truth. Checking in with us even when you’re feeling good is like getting an oil change on your car. A little bit of preventative maintenance can go a long way. We can screen for muscle imbalances or movement patterns that could be setting you up for an injury, or make small tweaks to your regular dietary habits to prevent issues down the road. These “oil changes” can help to prevent more serious and expensive conditions, and keep you healthy long term. Unfortunately, insurance doesn’t typically think long term, and these services are almost never covered. The three most commonly treated diseases among adults are high blood pressure, high cholesterol, and osteoarthritis. The annual cost of treating these conditions is: $724 for high blood pressure, $848 for high cholesterol, and $1,702 for osteoarthritis. Other heart conditions cost on average $4,852 per year to manage. All of these conditions can be treated and possibly prevented by either nutritional intervention, exercise and physical therapy, or both. The cost of a handful of preventative visits is relatively small in comparison to the cost to manage these conditions once they develop. With skilled physical examination and treatment, we can reduce or prevent the need for expensive imaging tests, such as an MRI, or surgeries, such as an ACL repair in the knee, or a SLAP tear repair in the shoulder. The costs of these procedures is very high: An MRI of the shoulder with contrast in Flagstaff averages $1,136. The cost of an ACL repair is $9,360. A SLAP tear repair is $7,578. If we can avoid these procedures with best-in-class physical therapy, you’ll be saving money in long run. And that’s without placing a value on your time away from doing the activities you love. If we can stay ahead of these issues and manage them conservatively, you'll save money, and stay healthy, over the long term. If the numbers and terms in the last few sections caused your eyes to glaze over, you’re not alone. Healthcare expenses are confusing! Established healthcare organizations profit off of this confusion, because they know that it makes prices less transparent. There are horror stories of people going to physical therapy for over 20 visits simply because they thought it was covered by insurance, only to receive a gigantic bill later on. Or, denial of claims can lead to the bill being unexpectedly passed on to you. Nearly everyone has struggled to understand doctors bills, or has felt a potential bill hanging over them after getting medical care. That will never happen here. You’ll know what the cost is before each appointment. And if finances ever become a barrier between you and getting healthy, we can talk about it and come up with a plan together that works for everyone. We’re committed to open, clear, and transparent communication with our patients. Being out-of-network with insurance companies helps us do that in a few ways. First, we don’t have to check your insurance benefits before talking to see if we can help you. We offer free phone consults to any potential new or returning patient to talk through issues in advance and help navigate the complexities of healthcare. When you come in for your first appointment, we don’t have to spend valuable time calling your insurance company -- we can get right to work helping you. Finally, we designed our electronic medical records system to be easy to use, not to bill insurance. We can easily and securely share forms back and forth, and talk in a language that makes sense, rather than being burdened by insurance jargon. Because we are out-of-network with insurance companies, you do not need a referral to see us for either physical therapy or nutrition services. You can get in right away. This can save weeks of wasted time waiting for insurance authorization after an injury. You, our patients, keep us in business, not reimbursement from your insurance companies. So it is very clear that we are here to serve you, not your insurance company. This makes us 100% accountable to you, and making sure that you are happy with your care and overall experience. Clinics that are paid by insurance companies often do just enough to get you in for another visit, not go above and beyond. If you are managing a long-term condition, recovering from a surgery, or have some other situation that might demand our services in a unique way, we can develop a custom package that works for you, your condition, and your budget. This is usually impossible in insurance-based clinics. Ultimately, your health care comes down to your health and your results. Unfortunately, not all dietitian and physical therapy services are created equal. There are differences in thought processes, busyness, 1-on-1 time, treatment approaches, time spent before and after the visit preparing for the patient, office environments, etc. The days of “trying a little PT,” or “getting a meal plan from an RD” are long gone. You deserve better than that. You deserve individualized, goal-focused care at a reasonable and understandable price. And as we’ve seen, nothing in healthcare is “free.” Deductibles are on the rise, and even if you are using your health insurance benefits, there will still be a cost of care to you in both time and money. Struggling with an injury or nutrition-related issue? Click the button below to schedule to talk about your issues and questions with a Doctor of Physical Therapy or Registered Dietitian. We'll develop a strategy together to help you reach and exceed your goals.